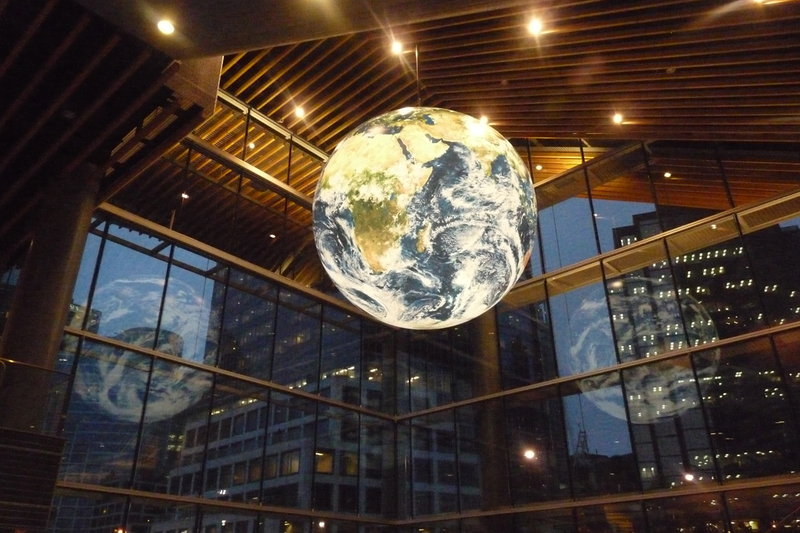 When your special event or installation calls for the very finest new world available, an Orbis Museum EarthBall will satisfy the most discerning viewers. Museum EarthBalls feature our improved NASA ‘Blue Marble’ satellite image, digitally printed on heavy banner material. They are available in a multitude of configurations, including internal illumination, auto-rotation, custom graphics, NightGlow city lights, suspension or pedestal display mount, etc. Rent a giant EarthBall for your next festival, concert, press event, parade, tradeshow or conference. A universal people attractor, Orbis giant EarthBalls draw all eyes to your exhibit and create fascinating displays. 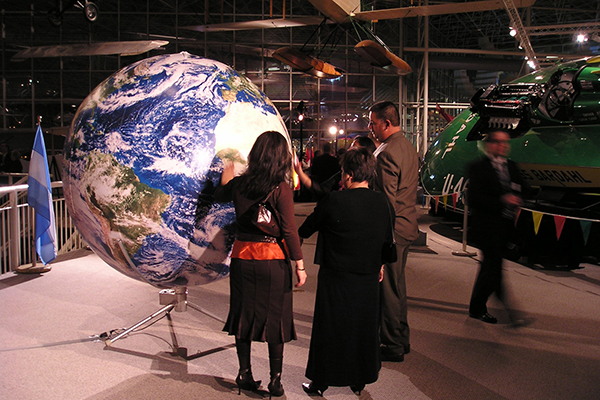 Whatever your next event is, you can add a new dimension of excitement with a revolving world globe. 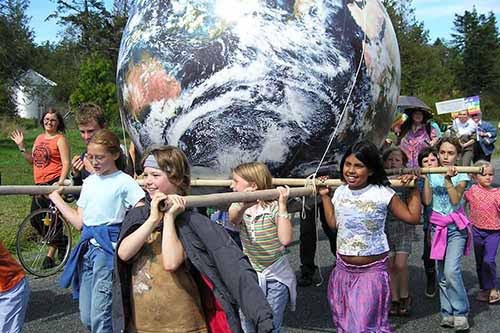 We now offer low-priced giant EarthBalls for your parade, concert, festival, school or special event. These 6’, 8’, 10’ and 12 foot diameter ‘Parade EarthBalls’ sell for a fraction of the cost of our premium quality Museum EarthBalls, yet feature the same NASA ‘Blue Marble’ satellite imagery. Parade EarthBalls are inexpensive, lightweight and easy to setup and take down. Custom graphics, lightweight helium-grade material, and other special features are available.